Fred’s Heating and Air has almost 30 years of experience in all types of commercial HVAC installation. 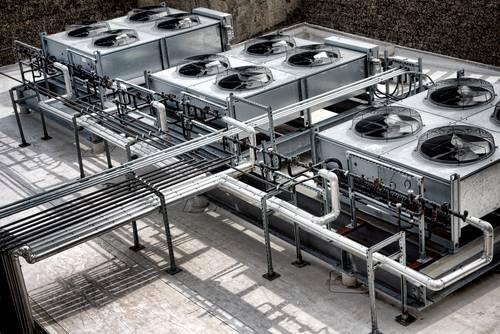 There is no project too large or small, and our extensively trained commercial estimators and installers are experts when it comes to new HVAC construction, HVAC replacement, and even HVAC design and build projects. Our senior estimators each have at least 25 years in the field and have executed a wide variety of successful projects. Additionally, we have a cutting edge metal fabrication shop with some of the newest technology available. Keeping that portion of our work in-house allows us to pass along savings to our customers. See below to find out more about our HVAC design, construction, installation, and replacement services.